Fire and rescue services aren’t always one of the public sector services that come to mind when thinking about health and wellbeing, yet across the country they have been mobilising at pace to make an impact on the health of the population. Over the last year, since the publication of the Fire as a Health Asset consensus statement, there has been more joint work between fire and rescue services and health and social care partners across England. Public Health England (PHE) recently published the results of an evaluation of the impact of fire and rescue service interventions to reduce the risk of winter related ill-health. This highlighted some of the promising practice developing and some of the key opportunities for further action. The majority of fire and rescue services have now converted their home safety checks into safe and well visits. In addition to checking for fire risks, these visits focus on the broader risks for people’s health, safety and wellbeing. This is a great opportunity for fire and rescue services because they recognise that people most likely to die in a fire are the same people at increased risk of poor health, so addressing health risks also reduces fire risk. Fire fighters are already being invited into people’s homes to assess fire risk and they can see a direct connection between improving health and wellbeing and reducing fire risk. For example, in terms of risk, if someone falls and can't get back up, they aren't going to be able to get out of the house in a fire, also if someone smokes the fire risk is greater. Likewise when homes are too cold, we’ve seen examples of people using dangerous heating methods, such as camping stoves, to keep warm. 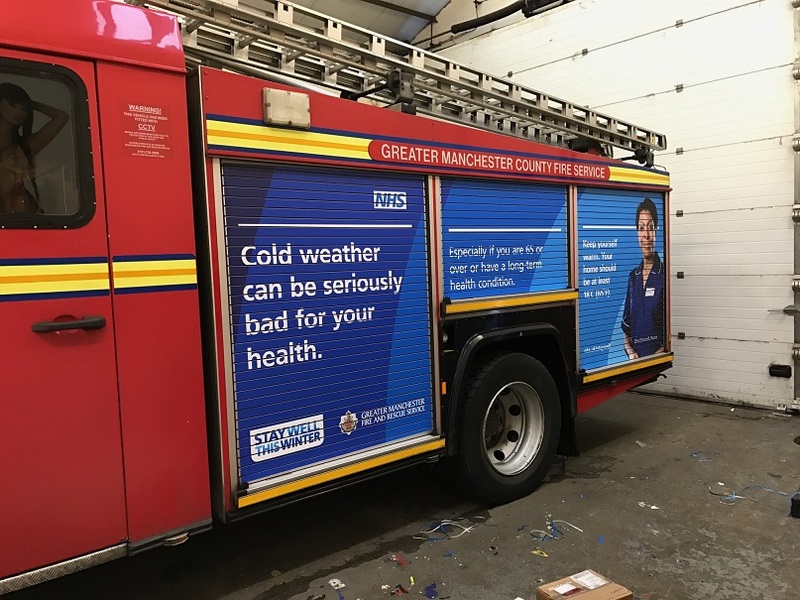 Given that most fire and rescue services have now started carrying out safe and well visits, there was an opportunity to explore the impact on winter related illnesses. The pilot focused on the four main contributors to winter related illnesses which are falls, cold homes, social isolation and flu. We agreed a consistent approach to these visits including the questions being asked; the interventions which could be taken for someone at risk as well and when to refer for specialist support. In the pilot, 88% of the 6,321 home visits made were to households with someone over the age of 65 or living with a long-term illness or disability. These people are described as being at ‘high risk’. Over half of the people visited were given specific advice and support about a least one of the four risks. There was very positive feedback from the people visited about the advice and support received. I had the opportunity to see a visit offered by Staffordshire firefighters and was impressed by the ability of the crew to interweave health and fire prevention messages seamlessly into a jovial yet poignant conversation. This was a perfect example of making every contact count in action. It was clear from the evaluation that crews were identifying people who needed specialist support, with 22% being referred to a falls service, 6% referred because of cold homes and 7% referred because of social isolation. There was initial concern that this would overload services or identify people who were already receiving interventions; however partner organisations highlighted that the referrals they received were appropriate and were for people not previously known to them. The pilot evaluation estimated the added cost of the intervention at £13 per visit which is minimal when compared to the cost to the wider system of some of the things we were trying to prevent, for example a mid to high risk fall averages £4,530 in direct costs to the public sector. Engaging partners at every stage is so important. Doing this well improves the ability of fire and rescue services to reach the most vulnerable people and make sure they can access the support they need. The use of data already available to fire and rescue services helps identify households most vulnerable to fire and winter related illnesses. The systematic approach to targeting saves time and resource. Working closely with health partners to share intelligence further improves the ability to help those most in need and avoid duplication. Interventions focusing on prevention of falls, cold homes and social isolation should be incorporated into safe and well visits. These are based on evidence and are well received by partners and the people visited. While signposting to flu immunisation is helpful, we found the majority of people had received this advice elsewhere. A standard way of evaluating safe and well visits will be available within the next few months which will be a useful resource for local ongoing evaluation and benchmarking. Strong leadership is important to support front line staff to understand the benefits of a holistic approach. Staff need to be equipped with more than knowledge; they need the skills and confidence to undertake brief interventions related to health. There is clear potential for fire and rescue services to play an important role, particularly identifying people who aren’t connecting to local services and support, and this evaluation report and the consensus statement are key steps in realising this opportunity at scale.